Manufacturer: Rawlings Model Number: TG12 Labeling Period: 1978 Size: 12 inches Material: Leather Web Style: Trap Eze Web. 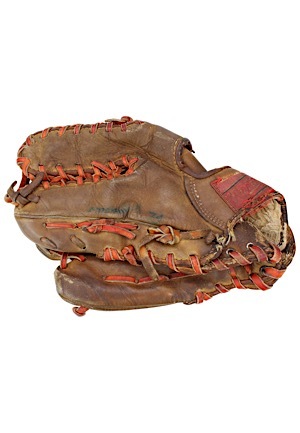 The glove shows heavy game wear with extensive use visible in the pocket, face of the web and throughout the body of the glove. Handwritten on the back of the thumb in marker appears to read “Monge 34”. 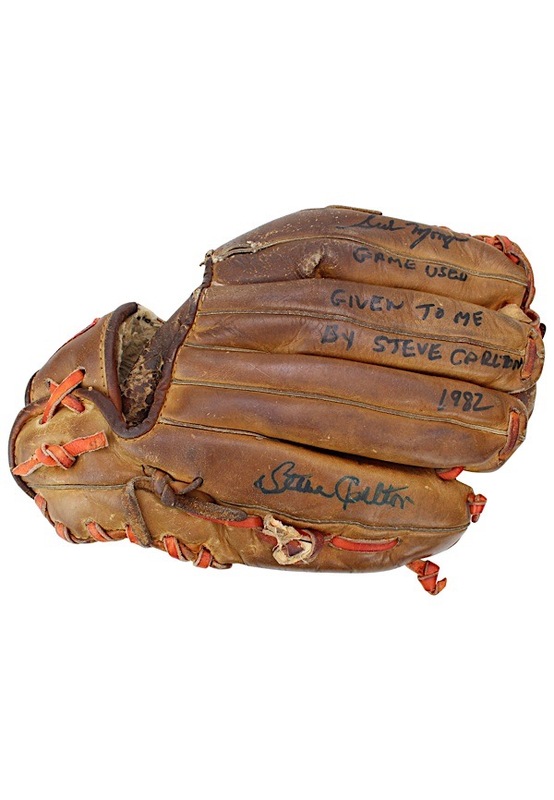 Monge autographed the back fingers with the added inscription “Game Used Given To Me By Steve Carlton 1982” and in our opinion the signature rates an 8. Steve Carlton signed below and in our opinion the signature also rates an 8. Accompanied by a LOA from JSA and a PSA/DNA LOA.